Hi there, we recently updated our course calendar for 2019. Check it out here. 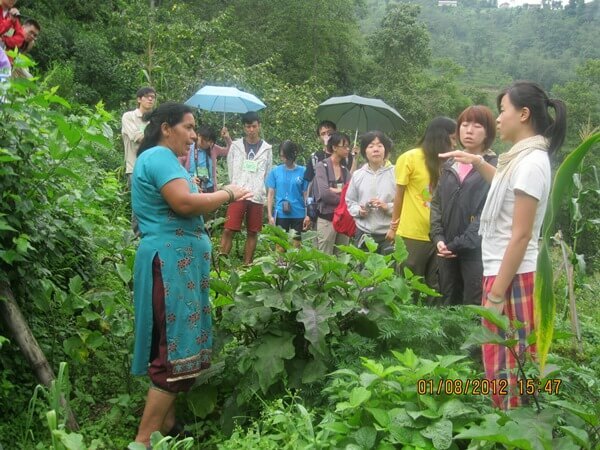 We conduct training courses on various aspects of organic farming, community development and Permaculture regularly. The courses range from single day to 16 days and include topics such as seed production, nursery management, soil improvement, compost making, pest and disease identification, bees, vegetables, mushrooms and fruit production, roof top gardening and urban Permaculture etc. and are very practice oriented. A full 16 day Permaculture design course will help you design your farm and livelihood based on Permaculture. We run a training program every month, however if a group of at least 13 people applies, we can arrange any of the available courses at a time to suit you. 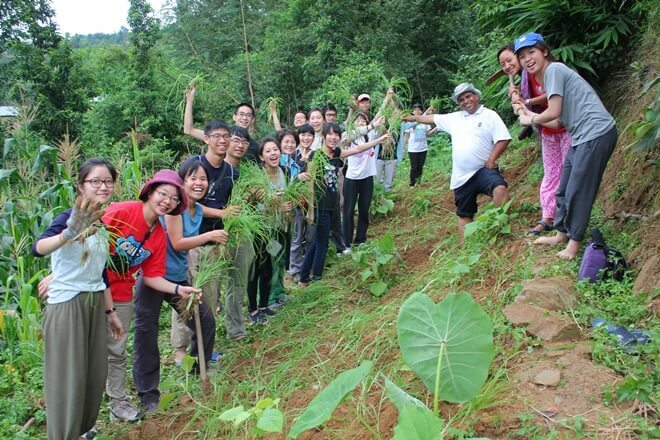 This program includes a short briefing about the concept of Permaculture followed by the guided tour of HASERA farm. There after discussion or hands on practical will be done on the subject of participants’ interest. This program is intended for the farmers who have already made decision about what they want to focus on their farm. So this is more a capacity development training in one or more selected commodities or technologies. Potential subjects o be covered in this training could be vegetable farming, fruit farming, seed production, nursery production, livestock management, grafting training and pruning, bee keeping, mushroom cultivation etc. This is a capsule course for the beginner gardeners. This course will focus on practical aspects directly applicable in the field. So this is suitable for those who want to learn about Permaculture way of gardening in short time duration. Please look here for the curriculum outline of this training. Now a days many people are willing to produce organic crops in commercial level. We highly appreciate this idea because it can let many consumers to enjoy organic products there by make a big contribution promoting organic market systems. So this course is good for those who are willing invest some money in creating organic business – either production or marketing or both. Pls look here for detail curriculum of this training. Organic certification is one of the most important steps for all organic producers and traders who wish to trade their products in a distant market. Consumers, for sure, needs some sort of guarantee to be sure about the organicness of the products they are buying. Certification can provide such guarantee for them. So certification of organic products is very important. This 7 days course provides the full details regarding the concept, importance and methods of certification. This course is also suitable for those who wish to develop their career in organic inspection and certification. In every country in the world, there is scarcity of capable organic inspectors. Pls look here for the curriculum of this training. This special training is designed for those who wish to have wider knowledge in Organic farming. Farm managers, supervisors, would be teachers are highly encouraged to join this course. Please look here for the curriculum of this training. 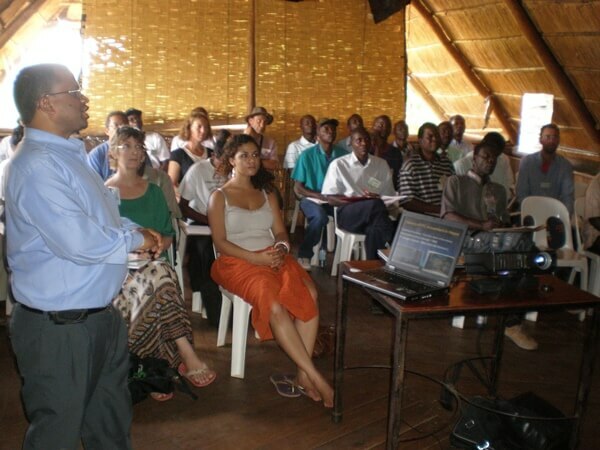 This is an international level training particularly designed for the would be trainers of Permaculture. This 10 days training workshop will help the participants to have the updates of the ongoing initiatives and learning of Permaculture in all 6 continents and 4 climatic zones. Besides, it provides enough time to brain storm and design sessions in all the major topics of Permaculture and also provides two opportunities to practice teaching Permaculture. So all in all, it will certainly help you to become a good Permaculture teacher. HASERA organize this training in alternate years. But when there is demand, we can organize at any time. Pls look here for the curriculum of this training.